Choosing California lemon law attorney William R McGee is the way to go. Your lemon law attorney is your most important ally in winning your case against the automobile manufacturer. Choosing California lemon law attorney William R McGee is the right choice. To speak directly with attorney William R McGee call 1-888-979-9332. Mr. McGee provides free phone consultations to prospective clients. Choosing the right lemon law attorney from the myriad of attorneys advertising on the Internet can be at minimum a daunting task. Choosing the wrong attorney can cause an unfavorable, or more importantly, substantially compromised result in your case settlement. Nothing takes the place of years of experience, and relationships with the auto manufacturers. Verifying the advertised claims of “years of experience” should be your first order of business before anything else. Mr. McGee’s State Bar Number is: 122153, and he was admitted in California in December of 1985. Many firms advertising services on the net advertise “completely free” and other types of claims. Yet many of those same firms will require the consumer to pay for defect verification by hired experts, and other types of monies that have to be advanced by the client rather than the attorney during the course of the case. We are the Law Offices of William R. McGee, California Lemon Law Attorneys. We are one of the “original” law firms (30+ years of lemon law practice) in California exclusively dedicated to the California lemon law. We have grown to be California’s LARGEST lemon law firm. Yes, we are the firm with freeway/highway billboards on California’s major freeways and streets. Yes, we are the firm that has had major TV news coverage. 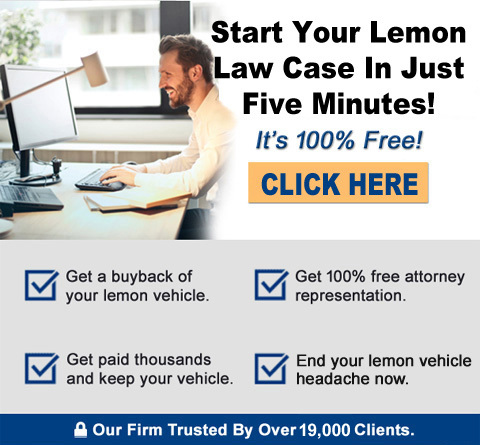 Yes, we are the firm that gets over 50% of new lemon law cases via referrals from our past clients. Yes, we are the firm that has settled over 19,000 lemon law cases for California consumers in just the last few years alone! And, yes, we are the lemon law firm that is – and has always been California based, with all of our employees and attorneys living in California and working at our multiple California offices statewide. With the myriad of attorney choices available to the consumer, we ask “is there any reason a consumer would choose anything other or less than California’s largest lemon law firm to pursue their lemon law case?” We think the answer is abundantly clear.